Today Honor unveiled the Honor 6X with a 5.5" display, Kirin 655 chip and a dual-camera (12MP + 2MP). But the phablet wasn't the only hardware at the event. 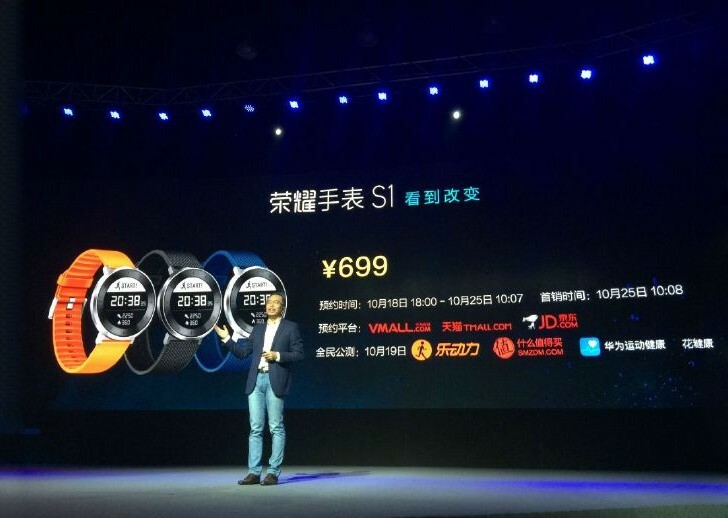 Huawei-affiliated Honor also announced today the 8" Media Pad 2 slate and the Watch S1 smartwatch. Both devices will go on sale this October in China. The Media Pad 2 packs an 8" IPS display of 1920 x 1200 pixels and runs on the Snapdragon 616 chip with 3GB of RAM. The S616 SoC is quite common among the mid-range smartphones with its octa-core Cortex-A53 processor (4x1.5GHz + 4x1.2GHz) and Adreno 405 GPU. The slate comes with 16 or 32GB expandable storage, 8MP main camera with LED flash, a 2MP front snapper, and a 4,800 mAh battery. The SIM-enabled version offers LTE connectivity with support for voice calls. 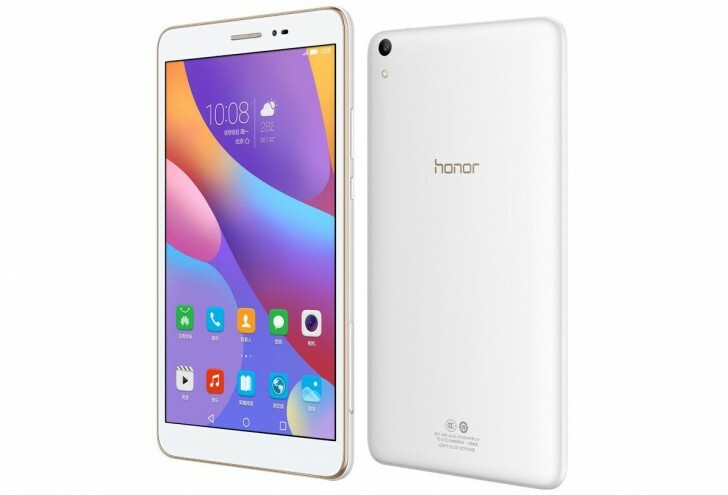 Honor Media Pad 2 runs on Android Marshmallow with Emotion 4.1 launcher. The tablet will be offered in Gold and White paintjobs and will launch in China on October 25, while the pre-orders open on October 19. The 16GB Wi-Fi flavors is priced at CNY 999 ($149), the 32GB Wi-Fi costs CNY 1,299 ($193), and the 32GB LTE model will set you back CNY 1,499 ($222). The Honor Watch S1 weighs just 35g and packs a circular display with a dial. It is water resistant up to 50m, and supports replaceable bands. The watch focuses on fitness tracking with an accurate heart-rate sensor and pedometer, but it also displays various notifications. The promised battery life is up to 6 days. The Watch S1 will launch in China also on October 25, while the pre-orders will kick off October 19. You can have it in Black, Blue, or Orange straps for CNY 699 ($103). There is no info on international availability though. Is the tablet could read an external hard drive like 1tgb of seagate?